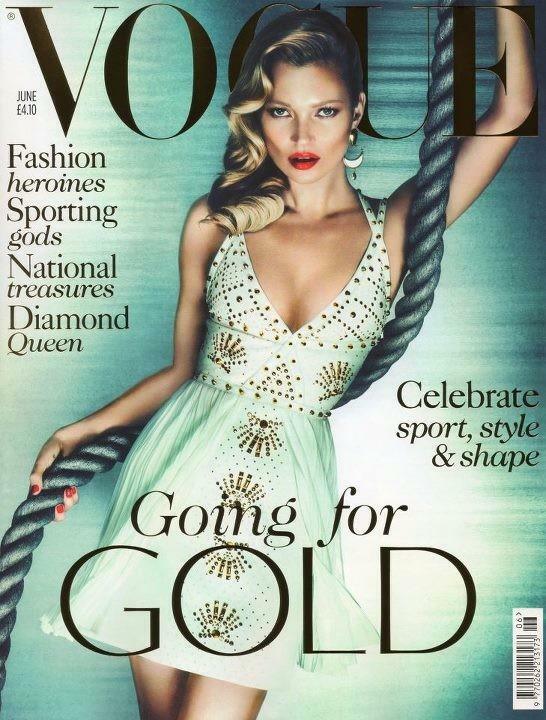 Kate Moss embodies the spirit of the Olympics for British Vogue's "Celebrate sport, style & Shape" issue. 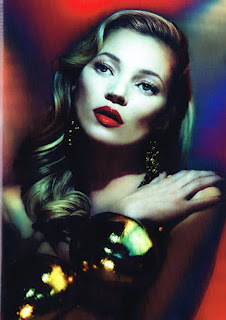 The Mert Alas & Marcus Piggott lensed image features the thirty-eight year old iconic model grappling with a piece of rope whilst clad in a gladiator studded Versace ensemble, and sporting bold red lips and an elegantly coiffed Jessica Rabbit style hairdo. 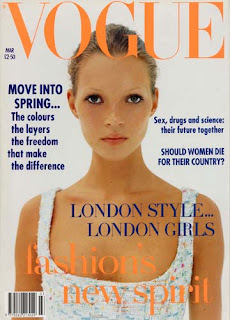 The June 2012 issue marks Moss' 32nd British Vogue cover since her first cover appearance over a decade ago in March 1993. The accompanying editorial is an all-out ode to glamour as Moss adorns the fashion bible's pages in an assortment of warrior goddess gowns, sculpted body suits and eye-catching metallic accessories. The June 2012 cover is indeed a far cry from Moss' debut cover shot by Corinne Day which emphasises Moss' then waifish beauty.